It is hardly surprising that CNN and Fox News would often be compared with one another, what with both news agencies being the biggest players in the industry and notorious in connection with the White House. The competition between the two has become quite fierce at numerous times in the past to say the least and the question of which one is the better source of news comes up with some regularity. While there are a number of distinct differences between the two, along with their own unique advantages and disadvantages, it may be helpful to realize that CNN and Fox News are both mainstream news sources. This means that they are actually a lot more alike than you would think and they do share a number of similarities. With that being said, let's take a look at their more salient aspects. CNN generally puts out a greater number of stories than Fox News does and it is slightly more focused on news events related to the international scene. CNN correspondents appear to be less bent on promoting a political agenda than their Fox News counterparts. Fox News for its part tends to offer longer news items with a lot more reinforcement for their storylines. As for their websites, CNN again wins out in this category with a much more well-designed and more aesthetically pleasing homepage. It also offers a number of useful features that make navigation a lot easier and more elegant. CNN has an advantage over Fox News in that it offers a lot more categories of news. Its pages also load more quickly than Fox News’ and it definitely has a much better search function. For instance, you can perform searches that will call up only certain capitalized words. Fox News’ search function leaves a lot to be desired, since it often fails to display the new articles of the day. Fox News featured articles appear to be more sensuous and pop culture with its flashy images and less focused on serious subjects. CNN also always displays a full page of results, while Fox News displays only three or four news items until you refresh the page, revealing a full news page. To its credit, Fox does include links to recent articles related to the news item. CNN is obviously the more liberal of the two. While the more extreme elements of either side would be quick to point to the relative political moderation of both news services, they do clearly exhibit their leanings. Which news service is more truthful? 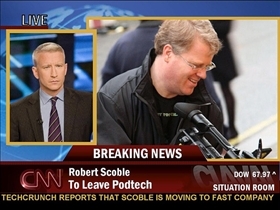 Is there any happy news in CNN? They highlight only the wrong news in CNN. I can't trust Fox news. They are the least trusted news site in the world. I like huffingtonpost, this is the best news blog. To answer your question, sometimes. but the only reason is because most "happy news" is used as fluff. "Happy news' does nto typically affect the audience in any sort of way, but bad news is always affecting someone somewhere. But I must ask, why Huffington? It's a blog, after all. But CNN has been criticized for having people act like Ron Burgundy in the past such as Rick Sanchez. FOX is the MOST trusted news station of all. It may be, but it is the most biased channel on television. It does not do anything for anybody but the right wing, conservatives and the Republicans. And they bash anything that has to do with the Democrats/liberals. There are no pros and cons on that channel debating anything on most of their shows. Those are my reasons why I don't like to watch FOX very much. obviously you haven't obtained the Fox Cable News Channel. Juan Williams a democrat who used to be on CNN is a Fox News Contributor. And he debates on the Five all the time! Smith has his own show on Fox News and he is quite Liberal. You just need to watch the show and you'd see that both Liberal and Conservative views flow!! That's why it's better than CNN... because all their doing now is trashing Trump... they've become the National enquirers of the broadcast world... Even Lou Dobbs left CNN for Fox News!! Exactly. CNN is the pariah of newspapers right now. People who listen to Fox News don't seem interested in truth of the Facts, especially when comes to political news. I have tried to listen to Fox New, but it is so slanted politically that I have to turn it off. CNN always offers both sides of political issues with people on form both sides of the political spectrum giving their opinions! No way!! They at least give both sides. CNN’s anchors are drama queens and whine about Trump all day and all night. Can’t stand this channel. Have you every heard of 'conformational bias'? It simply says that we tend to prefer messaging that confirms our preexisting thinking. It's a very human trait. But it has a very dark underbelly: When in it's grip, we tend, over time, to get stuck in our sources (so-called political 'echo chambers'), and also over time undergo an erosion of trust in people we know, first thinking that they're 'misguided', then just plain wrong, then having a serious 'gap', and then, through a few more steps we come to view people we may have once truly cared about as 'evil'. This phenomenon is what is behind the truly frightening degree of separation that we have between political factions in our country at this time. This is bad for us as individuals and very bad for us as a country. My best advice is to watch neither FOX News nor MSNBC (although one of them is by far the more likely to lie, they do at least represent the most politically motivated source for each side.) Or, if you just cant help yourself, watch both so you get some thinking from both sides. There are a number of truly (or very nearly) neutral news sources. I read 'the Week' -- a pretty neutral weekly news magazine which, on stories which have political weight, they publish both sides of the argument. try opening your mind up to at least the possibility that the folks on the 'other' side may have something of value to say. This is perfectly said! So True. I love it. May I copy this? Agree, and the ratings show that. I watch them more than other new sources because they have pro and con speakers representing opposing views. Once in a while I am actually moved to change my opinion, and that has prompted me to view more. A totally inaccurate, unsupportable statement; just like most FOX content. Huh? CNN gets caught lying all the time. Fox might be more geared towards the right but at least they don't straight up lie. Yes they do lie all the time and are so slanted I cannot stand to watch it! What show are you watching? I tried, but then I actually researched what they said, and Fox is propaganda! At least CNN has both Republicans and Democrats debating the opinions. I don't claim either republican or democrat as my party. Both seem to be corrupt to me. I am an American first. Lying is lying when it comes from either! Cnn and msnbc ect are by far the worst when it comes to propaganda and lies. Whoever says fox doesnt include both sides is flat out lying, they all do that. They invite the other side and try to make them look bad. This is how they all work. That said, cnn msnbc ect give the most blatant bs arguments and stories that its a wonder how they fool people. If you fall for leftist propaganda you are essentially religious. They sell oppression and prohibit questioning, even in matters of science, which strictly contradicts the whole point of science, the limitation of bias. Fox has its issues but it is far better than the rest of MSM. Those of you who talk about fact checking, clearly dont realize you are doing so on leftist establishment sites. But again, its hard to explain this to someone who cannot see through snopes, ect. They are just as biased as the rest but they act as if they are not. Thats a problem. Snopes, for instance, has been caught labeling mostly false when a rep says the exact statement a "mostly true" dem did.they also have this way of twisting an argument away from saying its true, often with some irrelevant aspect. To clarify, if i made damning statement A about a conspiracy that could be supported by evidence, they would chose tbe person giving bs argument B to "debunk" and discredit the whole conspiracy. Considering this govt has been caught using disinfo agents, this could go hand in hand any time. Ultimately, i dont trust any of them but fox is certainly the better of these prkpaganda outlets. They have never been caught falsifying and staging news in the ways that cnn has. People who say otherwise are simply not being objective but the footage doesnt lie. Anyways, there is no defending the notion of socialism + open borders that the left is pushing towards. That is a recipe for disaster and only a fool doesnt realize that. Just a few years ago those people preached border strengthening. My my how they flip. Dont get caught up in this dialectic, the establishment works from both sides. This 2 party system is largly a dialectic facade to divide while obamas hug and kuss bushes like family. Rachel maddow was at a choked up loss for words over the children but claps for bombs in syria? Mccain forbid trump from his funeral but had henry kissinger of all evil, to memorialize him? Mccain, the man who cheated on his wife after she waited 5.5 years for him as a pow and had been disfigured in a car wreck. The man who called his second wife a c**t in front of every media outlet. The man who physically assaulted numerous other politicians, lied about his time as a songbird in vietnam, lied about building a wall to be reelected in Az, then went back to his ways of writing and signing every amnesty bill that came his way. Opposed a mlk day until he ran for pres, oh and lets not forget, killed abt 135 people on carrier when a bomb supposedly dropped from his plane, injuring another 160. That man destroyed more planes than the vc id bet, and im not just referring to the carrier fire. See thrkugh the facade people. If you would watch them 2-3 hours in a row there will be some posit e happy news on CNN, I like them because they don’t call Hillary right in her wrongs, but Fox News will make an angel outta trump every time! I hate trump for all his lies, lack of empathy and just the ridiculous things he says, mostly the arrogance and the bold faced lies! He’s a true bigot, bully, and no more than a spoiled **** rich punk in a suit!! I agree with you Timothy--CNN is a much superior news network! I'm a Canadian as well, Dennis, and do not share your bias. You may want to note that the first 3 letters of conservative are c-o-n. Just a coincidence? To my USAmerican friends and relatives: you do not have a monopoly on people who "think" via their amygdala instead of their prefrontal cortex. Fox news stories are just a series of sound bytes. At least CNN offers explanations and discusses what happened. Not limited to 5 word sentences that make good bumper stickers. It is interesting that your sound byte statement about Fox News being about sound bytes contradicts the very article you are commenting in. Did you read it or just using your liberal sound byte card? Ive seen some of the garbage that fox put out there, but one must assume that these are the extreme cases. I was looking for some information on the overall credibility of these organisations. I have noticed that fox news tends to involve a lot of "opinion forcing". Its as though they believe that if they tell you something is "bad" or "amazing" that you will just take that opinion as your own. They also seem to go out of their way to "prove" that they are right. Where I come from the news tells you what has happened, rather than what you should think about someone or their actions. Come on the Communist News Network (CNN)? Please. Thank you for proving the Conservative bias. Calling CNN "Communist" literally makes no sense. I agree with y'all people cnn news is better!!!! Yes, but if Benghazi happened under the republicans, you best believe fox news wouldn't have been so quick to report it. You're drinking too much of the CNN kool-aid. I'll bet Fox would have reported sooner the CNN would have. If it was a repub in office now, CNN would be all over it screaming. 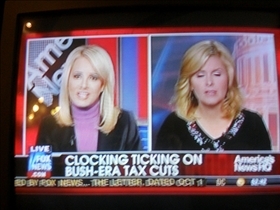 @Ben- Fox news regularly breaks stories about both parties, and did so when Bush was president as well. They also have lively, but fair debate on both sides of issues. Fox has more liberal commentators than CNN has conservatives. This comparison doesn't address accuracy at all. Fox has been forced to retract statement MUCH less than CNN. It was reported anyway. We are not talking about what would have been. if Benghazi had happened during the Republican President's time, there would have been air support and the 12 CIA agents just 1/2 mile away would have engaged and saved the Ambassador. Not a real fan of either, cnn just does not get as personal as fox does, but fox is more **** bent in pushing political garbage down the nations throat... When they should be biased on such things, cnn can be said to have done the same thing in the past but fox seems to forget that it is a news outlet not a government ruler. Fox News is a massive joke. There is some level of bias in all news agencies, admittedly. However, no one is as overt and consistent with their bias as Fox. Sometimes it's so ridiculous it gets comical. For example, when Bush was president and the war in Iraq started polling not so well, Fox portrayed him as a man of honor, a man of principle who does not rule by the polls, who does what he knows is right. When the mandate provision of the Obamacare package polled low, they claimed he was out of touch and unamerican. They spent months hammering away at Benghazi and the lack of the Obama administration's candor, yet I never once saw them have a problem with Bush and Cheney refusing to testify in front of the 9/11 commission. 4 Americans died in Benghazi, over 2700 on 9/11. Luckily, Fox is becoming pretty widely known as total BS and not "real news." It's a political propaganda network, not a news network. As a military officer and a highly educated person. I watch FOX NEWS as do over 75% of military officers. Your comments are offensive to us. On military bases, you won't see CNN or MSNBC very much as we are smart enough to watch only true fair and balanced news. FOX widely known as BS???? what are you smoking? Every single day, FOX News ratings trounce all other main stream media outlets. So what your saying is, all the other kids are doing it! See if that works with your parents, this time...bad reason. On military bases, you will see CNN.More disinformation. Guess that’s why they are rated so high. Seems most people do not share your opinion.